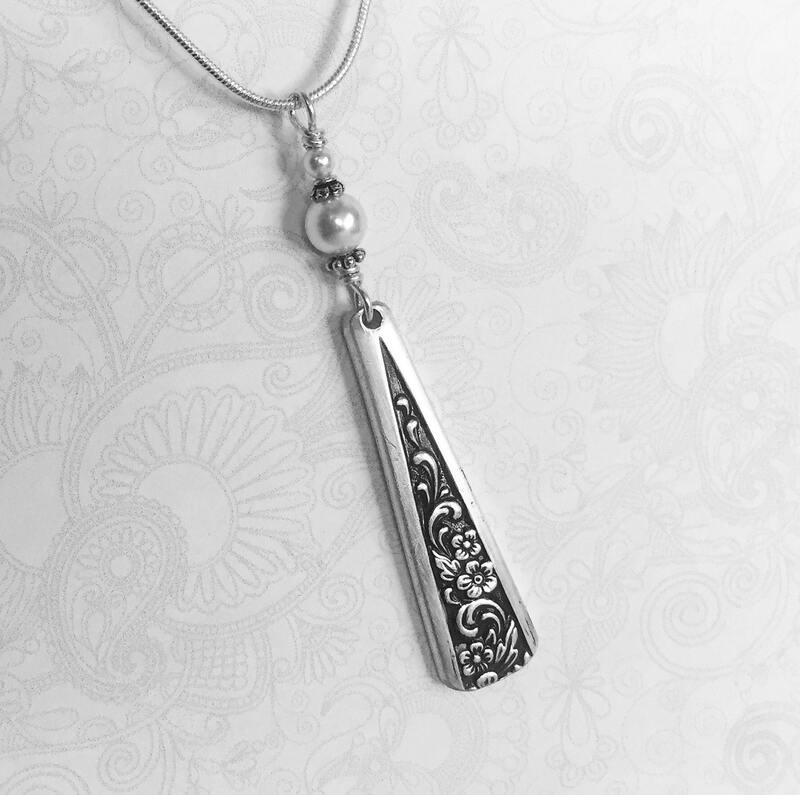 I created this vintage spoon necklace using a silverplated teaspoon in the striking "Tangier" pattern from 1969. It features a two white Swarovski crystal pearls, attached with sterling wire and accents. The spoon has been cut, formed, filed, cleaned, polished, cleaned some more; and here it is. It measures a long, slender 2 1/2", that will look great no matter what size person you are. 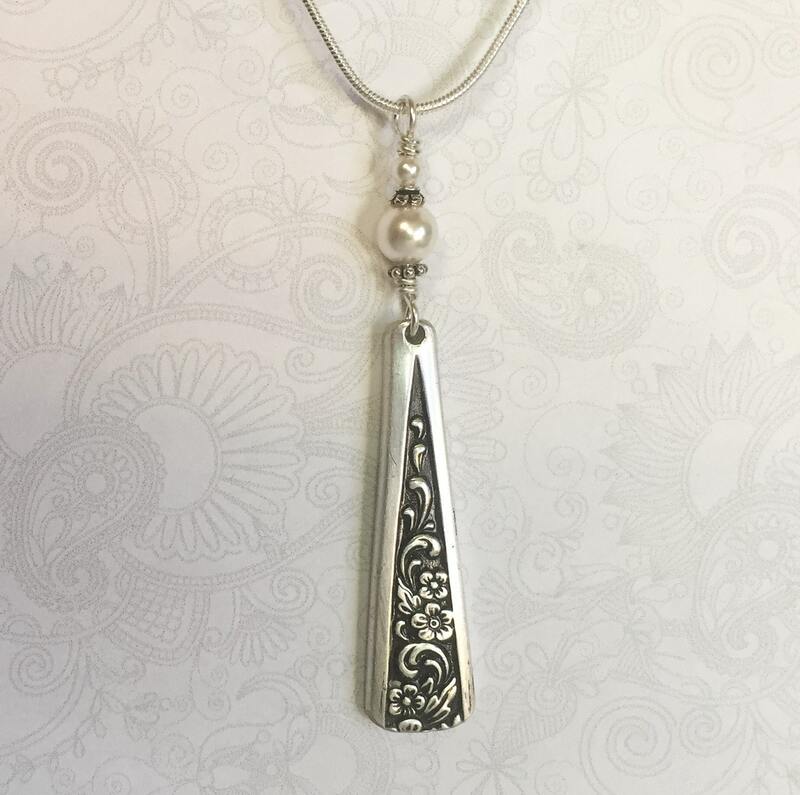 This spoon pendant is shown on an 18" silver finished chain with lobster clasp closure. You may also opt for a 16", 20" or 24" chain if you'd like. You'll be prompted at checkout to choose your favorite length. 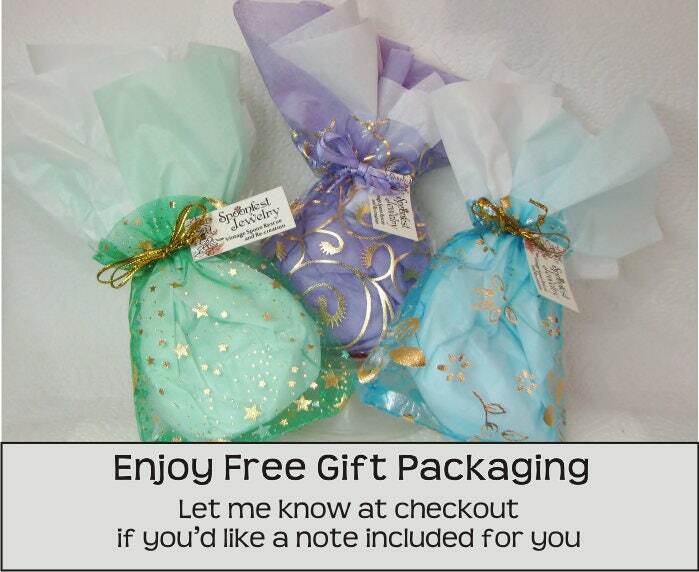 You'll receive this special piece of spoon jewelry in a festive organza gift pouch, along with the name and age of the spoon, and a Spoonfest Jewelry story card. Excellent quality workmanship and a great value. 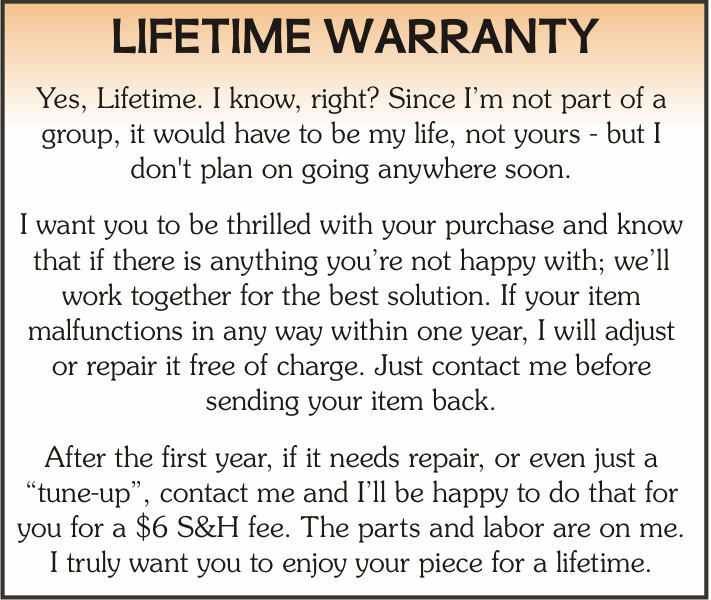 Will bring years of wearing pleasure and become a future family "heirloom"! 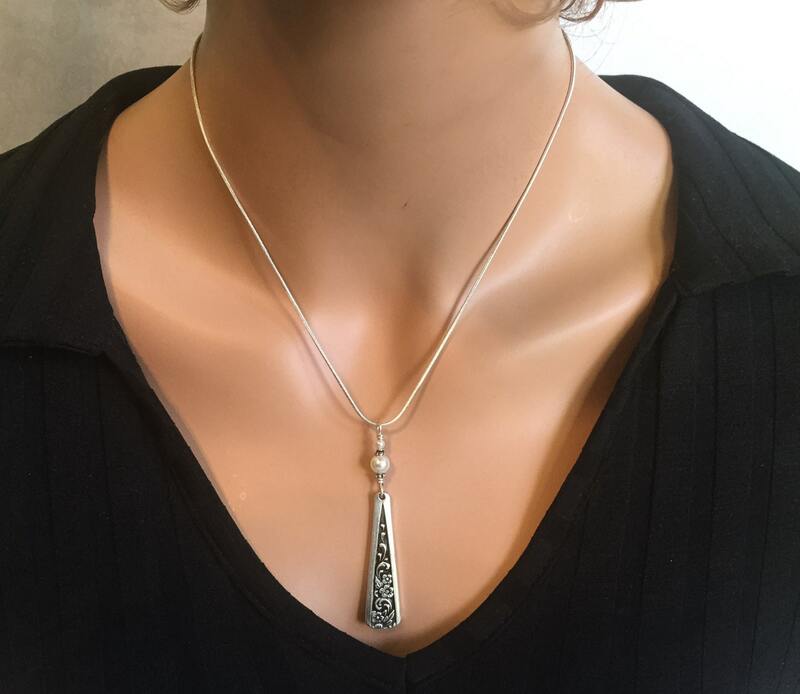 I love my new spoon necklace it's delicate and beautifully designed with a pearl accent. 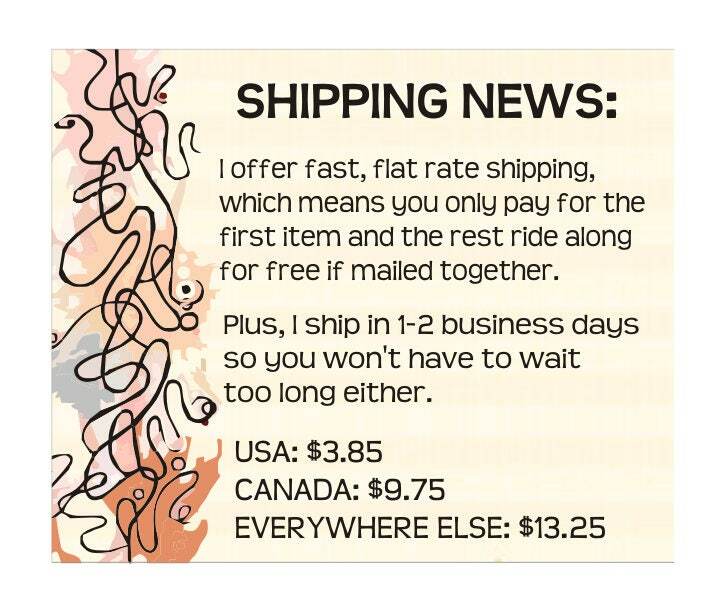 Can't wait to order the matching earrings!